Ride and Read! 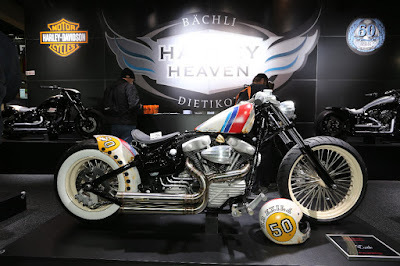 NEWS by Madness Photography - Onno "Berserk" Wieringa: Baechli Harley-Heaven crowned as Swiss "Kustom King"
Baechli Harley-Heaven crowned as Swiss "Kustom King"
Just in from SWISS MOTO/SWISS CUSTOM at Zuerich/Switzerland, Dietikon-based authorised Baechli Harley-Heaven (Harley-Heaven Dietikon) has won the vote to be crowned as "Kustom King" of Switzerland. Starting his motorcycle business literally from his garage in 1967, Felix Baechli and his son Rainer, who has taken over the helm at the Harley-Heaven in 2002, celebrate 50 years in business in 2017, the main party will take place at the recently extended Dealership at Dietikon from March 24th - 26th 2017 but the anniversary will also continue throug the year with 7 (!) 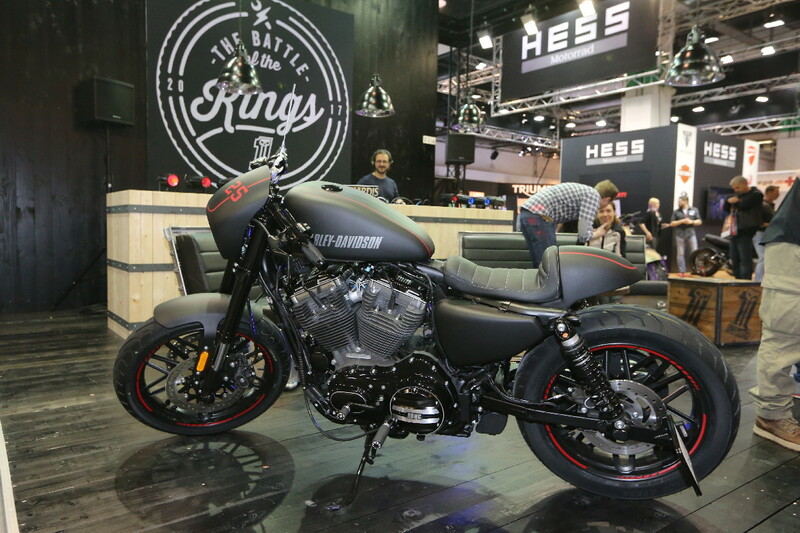 Anniversary Custombikes to be built, 3 of which have been introduced at SWISS MOTO already. Consequently, the "crown" of "Swiss Kustom King" is a well-deserved addition to the 50th Anniversary, based on a "Forty Eight" Custombike that has been prepared in just two weeks rather intense work! 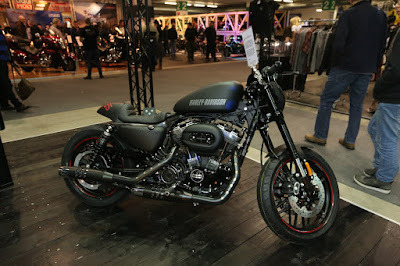 8 of the Swiss HD-Dealers participated and the three finalists included the modified brandnew XL 1200 CX Roadster of Harley-Davidson Mönchaltorf (also known under Müller & Jussel for decades) and the "48", styled after the Olive Gold Denim Softail Slim by Harley-Davidson Aargau. 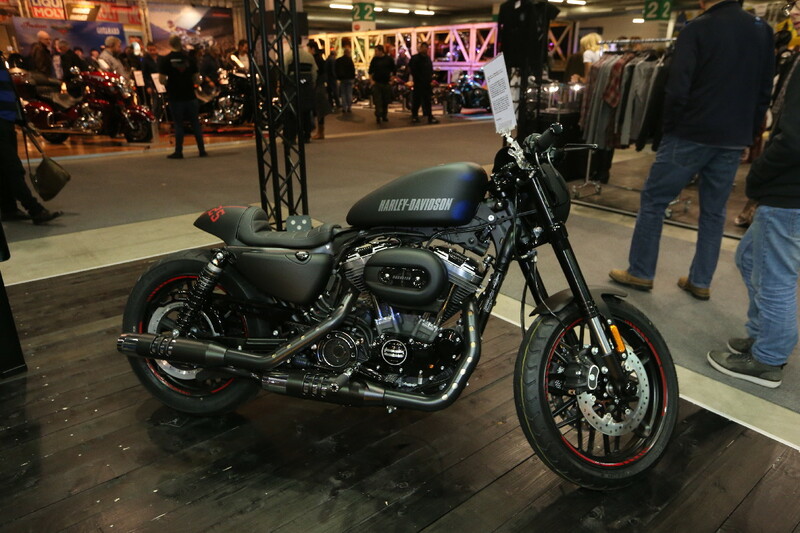 Harley-Heaven's "Speedking" is adapting a "mix" of Bobber and Racestyle, utilizing as many HD-Parts as possible, while reflecting the abilities of Baechli's in-house sheet metal workshop. "And it was built strictly to the rules and budget limits! 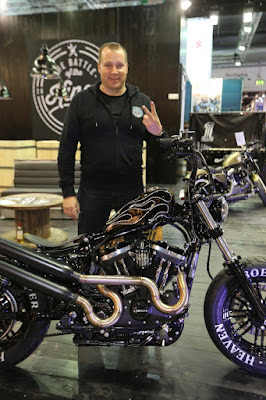 ", underlines Rainer Baechli at the SWISS MOTO, Switzerlands main motorcycle trade fair. Bobber-style single seat, Peanut-Tank and Loose Bar are combined with racing style exhausts which are upswept in Chopper-fashion. Short tailend and Vintage Firestone-tires (painted!) add to the mix that caught the eye of the judging public! 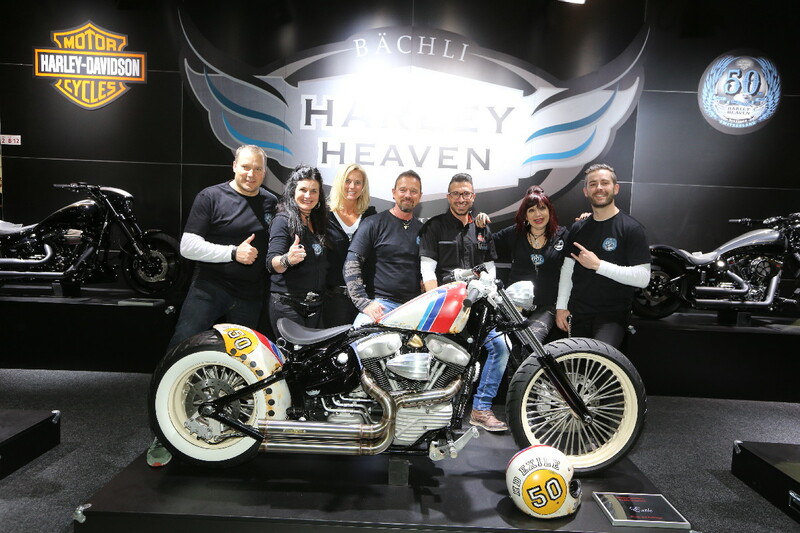 Congratulations to the Harley-Heaven "Kings" and see you in March for the 50th Anniversary Party!